If you have been arrested in Jacksonville, you will go to Florida first appearance court or a bond hearing. If you plead not guilty at your Jacksonville bond hearing, charged with a Florida felony, or are not offered a plea deal, you will be given a bond which is the money that you will need to pay to be released from jail in Jacksonville. After your Jacksonville bond hearing, the Duval County State Attorney’s Office will decide whether or not they will file charges against you in Jacksonville. In most Jacksonville criminal cases, charges are filed through an Information, a formal charging document. If charges are filed, your Jacksonville Criminal Lawyer will go to your first court date at the Duval County courthouse. Your Jacksonville criminal defense lawyer will enter a plea of guilty, no contest, or not guilty to the Jacksonville criminal charges for you. In some cases, it may be best for you to go to court with your Jacksonville Criminal Lawyer, so be sure to ask your Jacksonville Criminal Defense Lawyer first. If you plead guilty to a crime in Jacksonville, you are admitting that you are guilty as charged in Florida and you will be sentenced. In many Jacksonville criminal cases, you are pleading guilty to a Florida crime as part of a plea bargain. Instead of pleading guilty to a crime in Jacksonville, you can plead no contest or nolo contendere. If you plead no contest in Jacksonville, you are not admitting that you are guilty of anything. By pleading no contest to a Jacksonville crime, you are entering the plea, because you believe that it is in your best interest. You will still be sentenced as if you pled guilty in Jacksonville to the Florida crime. A Jacksonville no contest plea has the same legal ramifications as a guilty plea in Florida. If you plead not guilty to a Jacksonville criminal charge, you are telling the court that you are not guilty of the crime that you have been arrested for in Florida. Even if you plea not guilty in Jacksonville, you can always change your mind later on. It really depends on the circumstances of your Jacksonville Criminal Case. It is so important to talk to a Jacksonville Criminal Defense Attorney before pleading guilty or no contest to a crime in Florida. 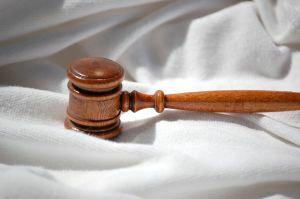 If you plead guilty or no contest to a Jacksonville criminal charge, you cannot change your mind later on, unless you are able to have your guilty plea set aside. Once a Jacksonville Criminal Defense Lawyer enters a plea of not guilty for a Jacksonville criminal defendant, she must move forward and protect the Florida defendant’s rights. The Jacksonville Criminal Defense Attorney will need to receive discovery (evidence, witnesses, documents, recording, etc.) that the Duval County State Attorney has in his or her possession. The obvious reason is that you are not guilty of the crime that you are accused of committing in Jacksonville. You will plead not guilty in Jacksonville, because you want to investigate the Florida charges against you. Your Jacksonville Criminal Defense Lawyer may need time to review the evidence against you, search for witnesses and exculpatory evidence, take depositions, and determine if there are any constitutional violations. You could be over charged with a crime in Jacksonville. If you have been over charged in Jacksonville, you are guilty of Florida crime, but to a lesser offense, not the crime that you are accused of committing. Your Jacksonville Criminal Defense Attorney and the Duval County State Attorney may be negotiating a plea agreement. If you are facing criminal charges in Duval, Clay, St. Johns, or Nassau County, contact a criminal lawyer in Jacksonville for help. At 20 Miles Law, a lawyer in Jacksonville will fight for you.